The Code of Conduct lays out the expectations of ethical behavior for all the people of KPMG, built on the foundation of the KPMG Values. 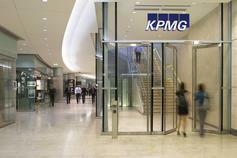 The KPMG Global Code of Conduct outlines the standards of ethical conduct that KPMG requires around the world. The Global Code applies to all KPMG partners and employees—regardless of title or position—and serves as a road map to help guide actions and behaviors while working at KPMG. It spells out fundamental ethical principles and highlights resources available to help partners and employees understand and uphold those principles. The original Global Code of 2005 was updated in 2012 to reflect developments in law, regulation and professional ethics, as well as our enhanced commitments to communities and acting in the public interest while delivering high quality services. It also reflects how we live the attributes of our strategy—expert, global mindset, forward-thinking, value-adding and passionate— to deliver our knowledge and insights to our clients with clarity and perspective, which we refer to as the KPMG Difference.